The National On World Cafe : World Cafe The band plays dour but beautiful songs from its brand-new album, Trouble Will Find Me. The National's rise has been slow and steady, to match the growth and evolution of its dour but beautiful rock sound. In this installment of World Cafe, the band tells host David Dye how sleep deprivation led its members to craft more straightforward songs on their new album, Trouble Will Find Me. 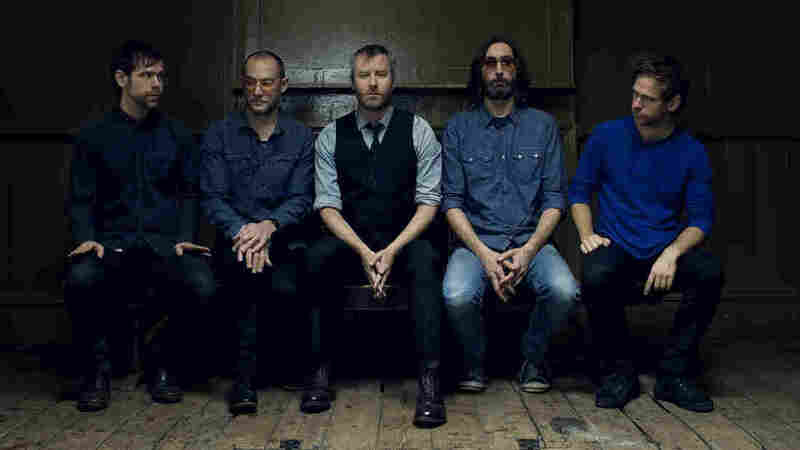 They also discuss playing "Sorrow" — from The National's breakthrough album, High Violet -- for six hours straight, as well as their role in the film Mistaken For Strangers, which opened the Tribeca Film Festival this year. This installment of World Cafe was first published on May 21, 2013.